When the Clipper Race teams set sail for the Pacific Ocean, for many crew members they finally felt they were heading for home, and waiting for them at the end of the final ocean crossing in the Homecoming Leg is a huge welcome at the Foyle Maritime Festival in Derry-Londonderry. The stopover continues to exceed expectations, becoming a firm favourite among crew and supporters and even winning the Best Event/Festival Experience at the Tourism NI Awards following the 2013-14 edition’s visit. Today marks 100 days until the Foyle Maritime Festival kicks off in the city, which will include a particularly special homecoming for Derry~Londonderry~Doire Skipper Daniel Smith and his team. "Home port cities have been amazing stop overs this race. So far we have been to Da Nang in Vietnam which hosted the race for the first time and Qingdao which has welcomed the race many times before. We won into both cities which made them extra special, the welcome was massive and time spent in these cities unforgettable. “Sailing into Derry-Londonderry will be a highlight of the race for us on board Derry~Londonderry~Doire. I've heard from previous crew and Skippers it is an amazing stop and a favourite of the race. 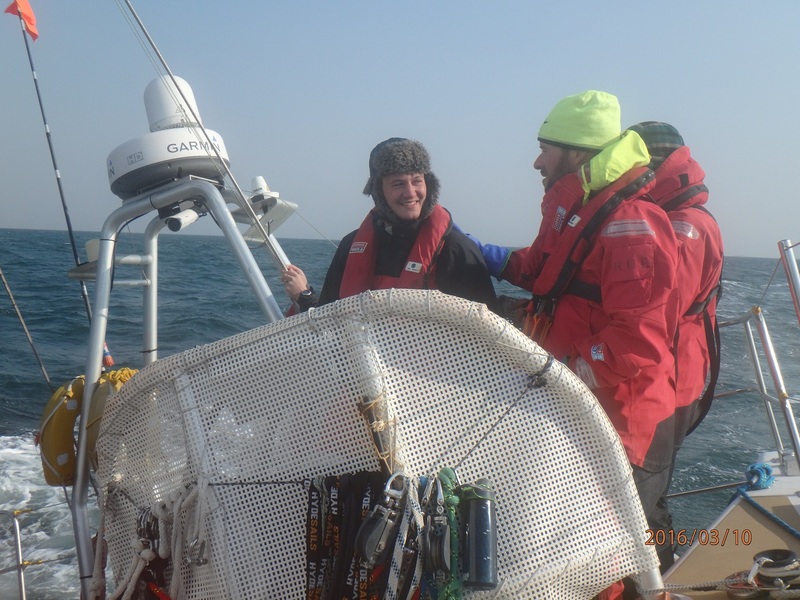 “It'll be extra special for me because I'll be sailing back into waters that are very close to home in Scotland and meeting some friends and family that I haven't seen for almost a year!" Set alongside the banks of the River Foyle in the North West of Ireland, the vibrant Derry City and Strabane District is a hub of culture, optimism and creativity. Famed for the kindness and generous spirit of its people, it has the confident outlook of an area emerging from a troubled past. For the third consecutive race, the Northern Irish city has had a team entry and been a host port in the Clipper Race, and once more a series of on-water and shoreside events are planned. These will start with a market within the Walled City from 9 July before moving down to the quayside from 13 July until the fleet departs. 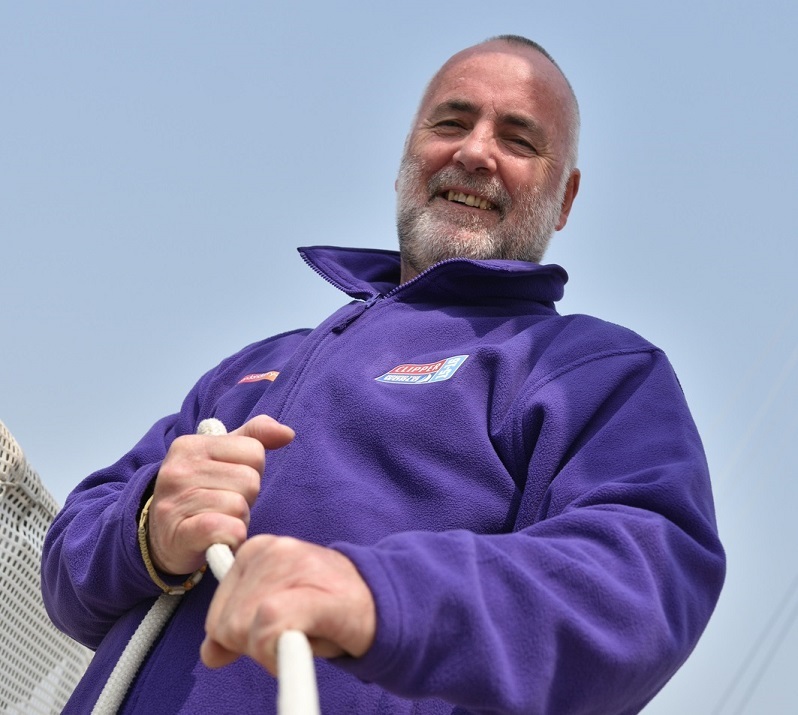 As part of the council’s “A New Story” campaign about shaping a brighter future for the city, five local people have been awarded bursaries to take part in the Clipper Race, one of whom, Danny Bryce, will be lucky enough to sail into the city in the Homecoming Leg. At the moment Shane Brunker is on board for The Seattle Pacific Challenge. Hailed a local hero, he was awarded his place for making a difference to the lives of others in the community through his volunteer work. “I worked for a while with the Foyle Down Syndrome Trust, before starting the Happy Mondays 21 Club, which offers a personal development programme for young people with Down’s Syndrome through a range of social activities and outdoor pursuits such as skiing and surfing,” said Shane. The baton was passed to Shane in Qingdao by Conor Shortland who raced from Australia to China via Vietnam. As he disembarked the 70 foot yacht, the 22 year-old was already bursting to talk about how the race has changed his life and how it will help his future. “As a whole, this experience has been unbelievable. A year ago, I was in Derry not doing very much and now I’ve sailed into China and our team has come first. What a difference a year makes, just going through this whole process, I think it will do wonders for me in the future. I’ve got a lot of confidence out of it, I know my own limits but I’ve been able to push them. I feel like I’m capable of more than I would’ve thought a year ago. It’s been a fantastic experience. From the Pacific Ocean, the Derry~Londonderry~Doire crew have sent some excited messages about looking forward to the celebrations in their home port in 100 days’ time. “The Asian welcomes have been absolutely amazing. But I have no doubt that being back on home soil, the Derry welcome will surely top them!” John Carroll, Legs 5 & 6. “It may still be 100 days away with half the world still to cross, but the significance of DLD returning to home port resonates strongly in the hearts and minds of its crew. We anticipate a magnificent occasion in the midst of a magnificent gathering. We look forward to it with relish, bring it on!” Tony Milsom, circumnavigator. “The Derry homecoming will mark a personal homecoming journey for me, to arrive in Derry in 100 days’ time. After crossing the Atlantic I'm sure we’ll be met with "Craic agus Ceoil" and it is a feat that I will have great pride in being a part of. Go dti sin, Slan.” Sharon O’Donnell, Legs 6 & 8. To find out more about the Foyle Maritime Festival click here. For a taste of what you have to look forward to during the stopover in Derry-Londonderry this July, click here. *Please note the estimated fleet arrival window for the Race 12 finish into Derry-Londonderry is 7-11 July.